Publishers will never be able to establish successful mobile platforms. 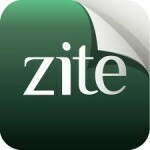 The Zite model of customized content will win. Why? Because publishers think editing means curating their own proprietary content. In the days of the printing press, limited square inches on the broadsheets, slower news cycles and information scarcity rather than information overload, they might have been right. But today, editing means individuals curating their own personal mix of content from the millions of sources constantly streaming in from all directions. Publishers think they are in the business of creating proprietary content, and they believe that they derive their value from the vertical integration of their business – from journalists with sources, through editing, to the printing presses, and distribution. Unfortunately, they are wrong, just like the railroads who thought they were in the railroad business until the truckers showed them they were in the transportation and logistics business. Railroads and traditional publishing are based on the scarcity model – I am the only one who owns a track, I am the only one with a printing press and a distribution system that can deliver a fresh news publication to your door, so I can charge what I want. But just like the truckers showed the railroads (to the detriment of our environment) that there were other, possibly even faster ways to get freight from door to door, the web and mobile device disruptions show us that publishers should be in the business of informing, educating and entertaining their readership. Their value is not derived from the scarcity of the means of publication, because the means of publication are no longer scarce. If they are to have any lasting value, it will be in doing a better job of informing, educating and entertaining their readers. But here is the rub – they have not merely lost that scarcity edge, they have lost their curation edge too. It used to matter what the New York Times put on its front page. In a world with fewer news sources, they could reasonably cover most of the world’s news, and so the choice of what to put on the front page was important. What was on the front page was a pretty good proxy for what was, in fact, important out of all things under the sun. But today, with so many sources of news, it merely reflects which items from their limited collection of proprietary material they think is important. With so many news sources at your finger tips, it becomes merely one of many opinions in terms of what is important. And the scarcity based exclusion of things deemed not important enough to include becomes problematic in a world of plenty. True, the reporters and editors of a major league newspaper may have some skills that make them better than average at covering a given story, but their take on things no longer has a monopoly – it has to compete with all the other news out there in terms of its relevance, and timeliness, in addition to how well it informs, educates and entertains. As a result, one single source of proprietary content will inevitably suffer as a destination when compared to any destination that intelligently serves up a far bigger selection, intelligently curated. In Magzine Meltdown, I noted that the magazine business was in shambles. It is the same issue with them as it is with papers. In that post, my point was that the two extremes of today’cluttered landscape seem to be viable at the moment. At one end is the Zinio approach – a simple, largely inert, digital recreation of the actual traditional magazine page, just digitized and displayed so you can have easy mobile access. This approach preserves the best of the traditional page layout so you can appreciate the visual cues the traditional editors put into design, but it makes it makes it mobile and easy to consume. Essentially do the same old things, but make it marginally easier in order to buy time and stave off the inevitable. At the other end of the spectrum is an approach like Zite which customizes your magazine every time you open it up based on your interests and your past reading preferences. The more you use it, the more uncanny it gets in its relevance recommendations. I noted that what I especially like about it is that, unlike other similar platforms, Zite doesn’t over-do it with social media signals – it is just a really good recommendation engine for new media posts you’ll almost certainly want to read. In a story this week, How Zite’s News App Altered the Zeitgeist in Personalized Publishing, Wade Roush of Xconomy captures the essence of the problem beautifully: “publishers [cannot get] used to seeing so many people consuming their content via platforms they don’t control and can’t readily monetize.” It simply is not their model. To a traditional publisher it does not compute. The self-curated platform is infinitely more valuable as a destination than having to settle for a destination consisting of one single presentation of material from one publisher’s proprietary collection. A mix of all the best and most relevant stuff on a particular topic will always inform, educate and entertain the reader better. Problem is, if you model is about creating proprietary content in a vertically integrated way, you are loathe to let your content to onto those platforms you don’t control, and you are loathe to let other people’s content onto your platform. So you are stuck. But as Wade points out: “that train left the station long ago—and where readers go, publishers must ultimately follow.” I’ll meet them on Zite. If you enjoyed this post, you might enjoy: Where the Puck is Going, Magazine Meltdown, Walking into a Buzzsaw (Amazon’s Brazenly Arrogant Retail Promotion), The Future Of Publishing – The Book is Dead; Long Live the Book, Amazon Ups the Ante On Publishers Again, Amazon Moves Up the Food Chain. Thanks for this post, Christopher. You convinced me to try Zite. And more importantly, you gave me some real food for thought on the value that can be added by curators of news on particular topics. An automated engine like Zite is a great way to do the first pass of filtering. But there’s also value in informed people who highlight the best stories on particular topics, from a variety of sources. Like librarians in particular niches. Anyway, just something I’m thinking about… Thanks for the post! Yep, it is about zeroing in. From 100,000 feet, the interest graph is key in terms of narrowing things down a little, but then as you get increasingly deep into a topic, expert analysis and highlighting are increasingly important. However, the juxtaposition of stories is key – you get a much better handle on an issue if you have both the NYT and the WSJ versions of the story side by side. Lord help the people who rely on the curation of just one vertically integrated source – if you believe to the NYT global warming is armageddon; if you believe the WSJ it doesn’t exist and is a vast liberal conspiracy. The value of juxtaposing both of those views on one platform cannot be over-stated.